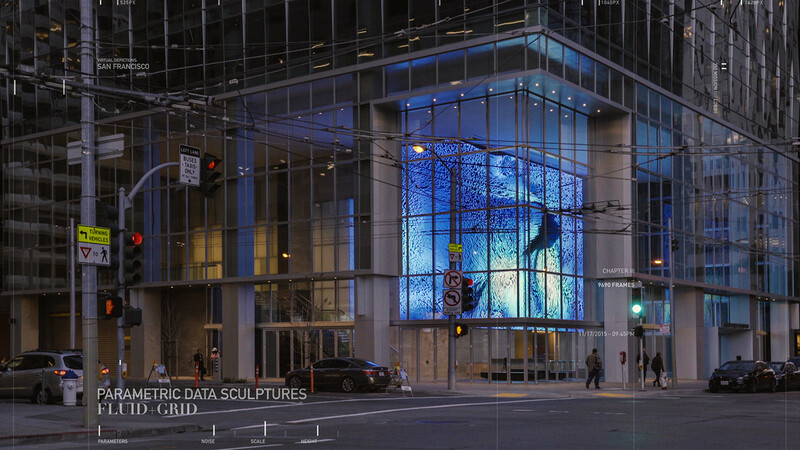 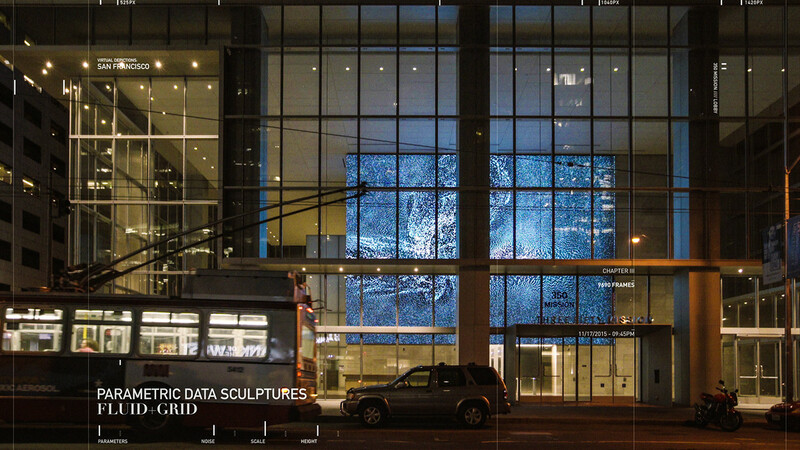 ‘Virtual Depictions:San Francisco’ is a public art project consist of series of parametric data sculptures that tell the story of the city and people around us within a unique artistic approach for 350 Mission’s media wall in collaboration with Kilroy Realty Corporation / John Kilroy and Skidmore, Owings & Merrill LLP Architects. 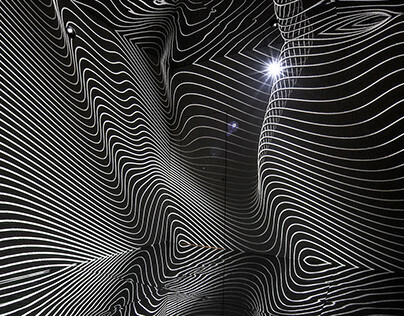 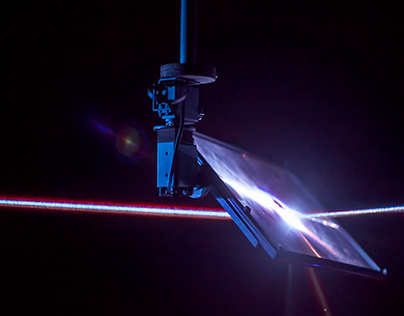 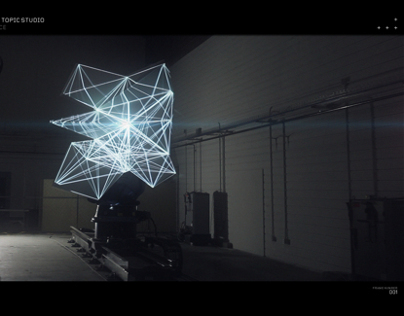 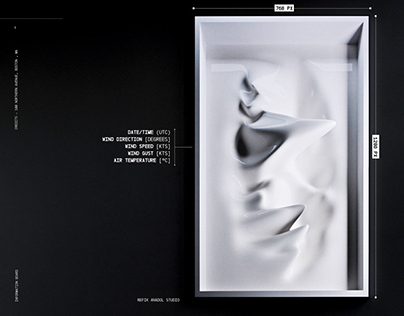 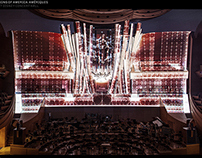 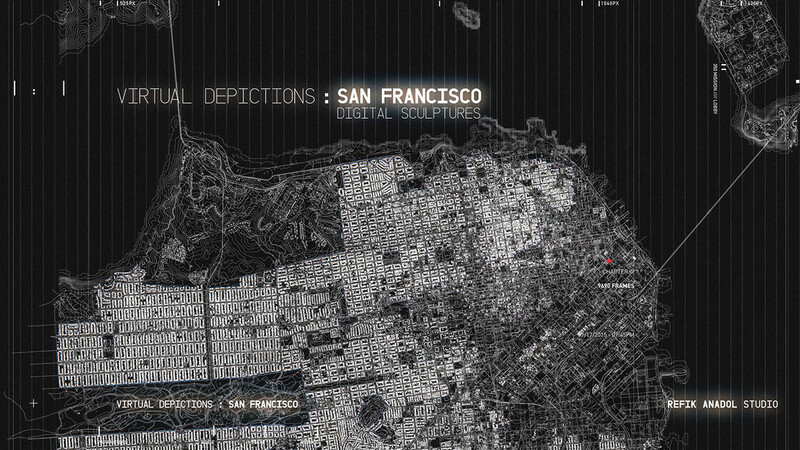 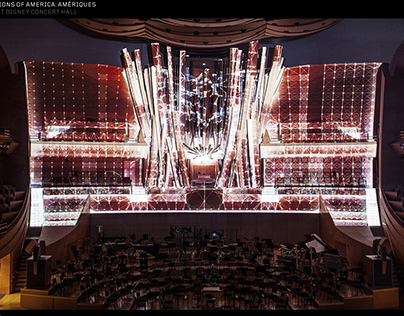 The main idea of ‘Virtual Depictions:San Francisco’ is to bring 21st century approach to public art to define new poetics of space through media arts and architecture and to create a unique parametric data sculptures that has an intelligence, memory and culture. 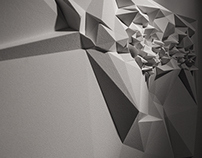 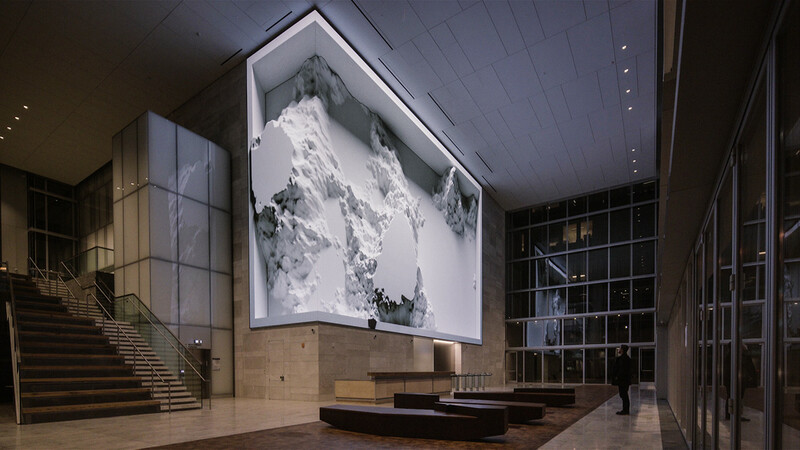 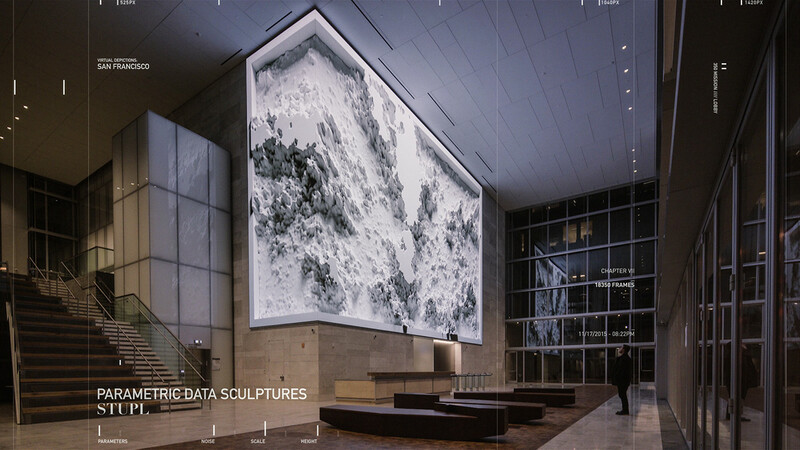 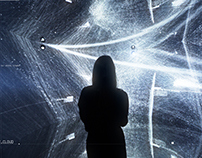 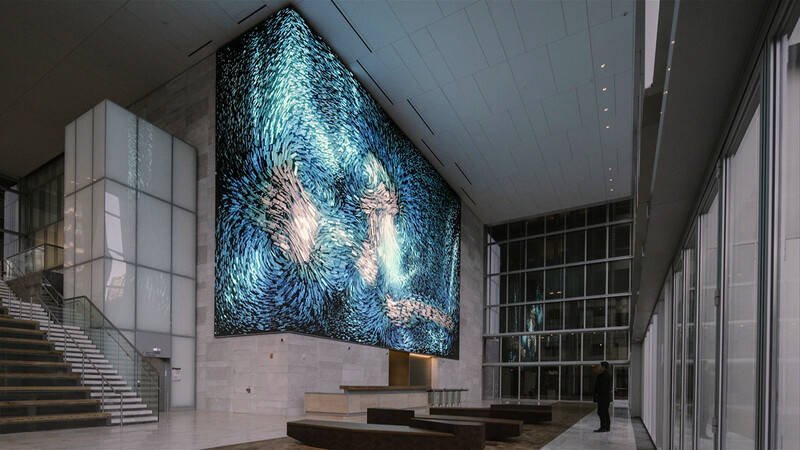 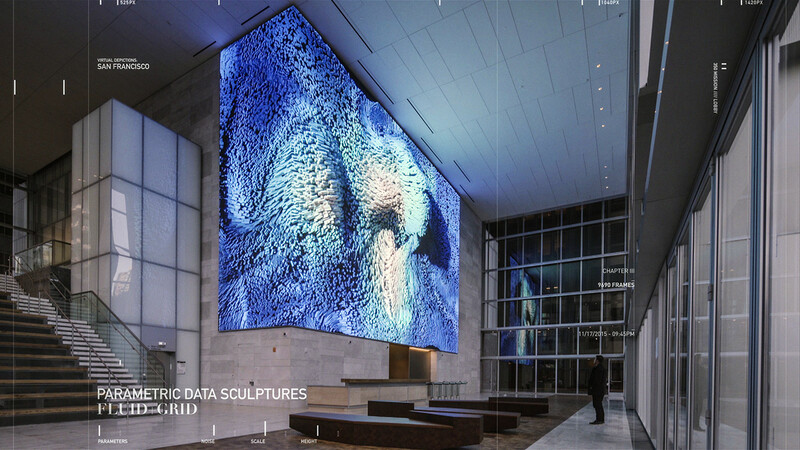 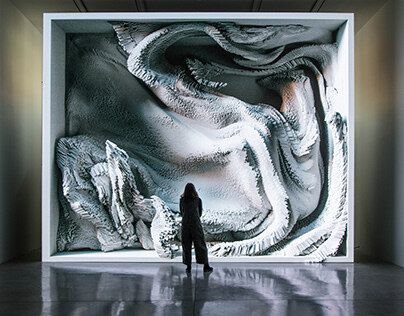 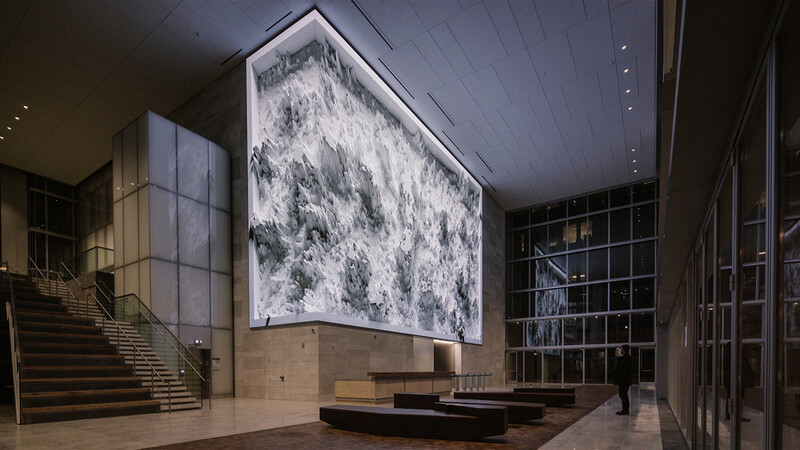 Through architectural transformations of media wall located in 350 Mission’ lobby, main motivation with this seminal media architecture approach is to frame this experience with a meticulously abstract and cinematic site-specific data-driven narration. 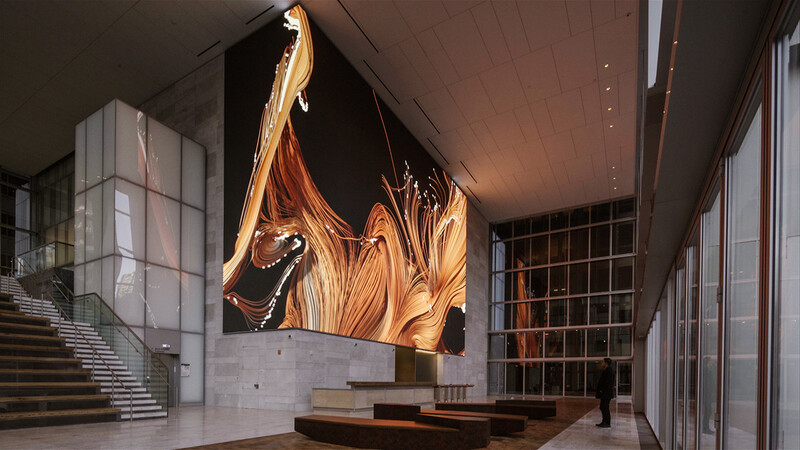 As a result, this media wall turns into a spectacular public event making direct and phantasmagorical connections to its surroundings through simultaneous juxtapositions. 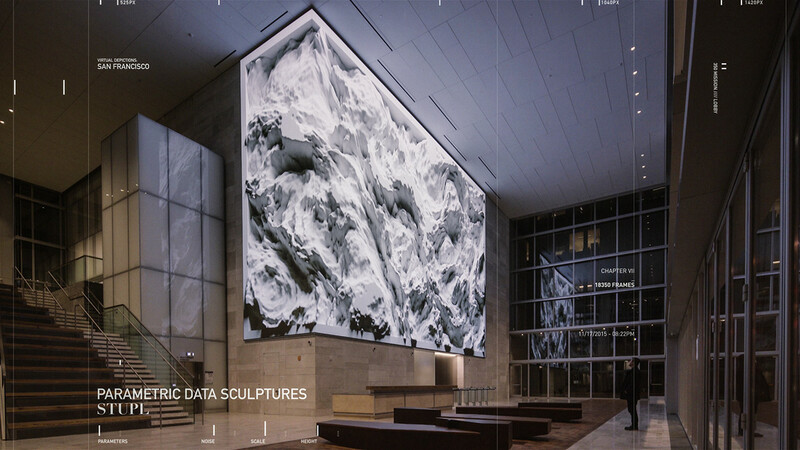 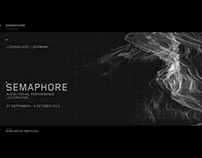 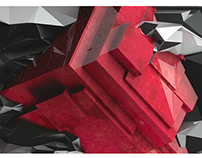 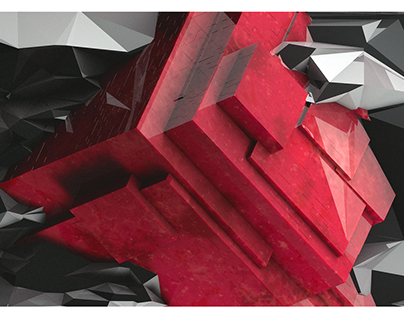 The project also intends to contribute to contemporary discourse of public art by proposing a hybrid blend of media arts and architecture in 21st century.